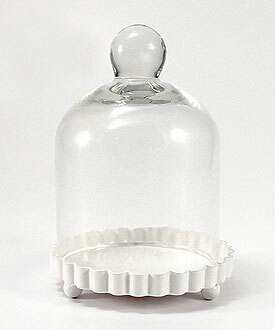 These miniature Bell Jars could not be more adorable. Whether filled with delicious cupcakes or something more botanical such as a bed of moss with decorative butterfly, the effect will be completely irresistable and memorable. Your guests will surely want to take one home. It is sold by a set of 4.